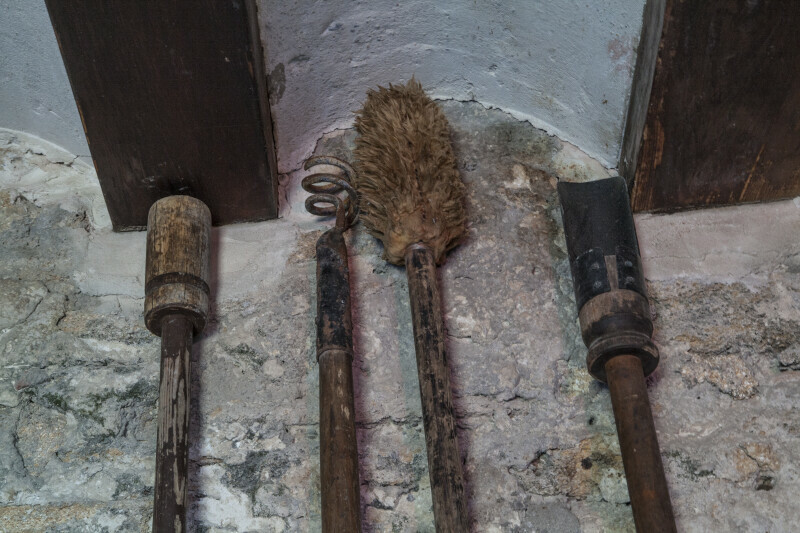 This image shows a detailed display of artillery tools, at Fort Matanzas. Among the tools shown are: a "worm," used to clean large debris from the barrel prior to loading, a barrel brush, a powder "ladle" or scoop, and a "ramrod," for separately compacting both the powder and the ball before firing. The fort is listed on the National Register of Historic Places, as Fort Matanzas National Monument.